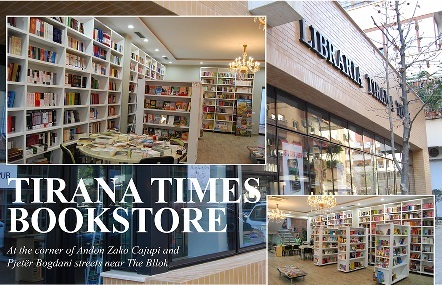 TIRANA, Nov. 23 – Issues ranging from the flow of refugees making their way through the Western Balkans to the needed reforms for EU integration were in focus as the head of EU’s executive branch visited Tirana and the region over the weekend. To address the refugee crisis, the EU will work together with non-member Western Balkan countries that are now part of a major transit route to the EU, Donald Tusk, the president of the European Commission, said at a Tirana press conference. “EU must help to manage the flow, as we are doing, and helping elsewhere to address the causes of the flow in the source countries,” he said. Many of the refugees come from war-torn countries in the Middle East, but many others are simply fleeing poverty elsewhere. Albania has so far not been part of the main corridor for refugees crossing the region, but there are worries that might change during the winter. Western Balkan countries are not part of the EU or the Schengen area, but they hope to join one day. However, thousands of people from the Western Balkans also apply for asylum in the EU, trying to escape poverty at home. President Tusk said the EU must effectively control the external borders. “We must do this together, in cooperation and coordination, to ensure that the process is organized and managed properly,” he added. 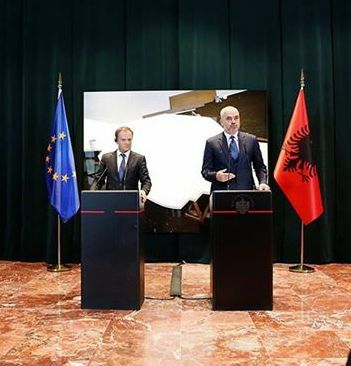 Prime Minister Rama and President Tusk also spoke about the Albania’s EU integration process, where both said the implementation of a judicial reform was of paramount importance. The two leaders also discussed the threat posed by terrorism, on which Rama said there is no room for panic but Albanians should be vigilant. This is a web-only update. Read more about this topic in our upcoming print edition.